Within a measurement system, a transmitter is the component that communicates to the user and translates sensor readings into displayed measurements. Transmitters are an integral part of in-line measurement systems used for industrial process control and monitoring. METTLER TOLEDO offers the following comprehensive range of transmitters: pH transmitter, dissolved oxygen transmitter, conductivity transmitter, resistivity transmitter, TOC transmitter, dissolved ozone transmitter, turbidity transmitter, CO2 transmitter and flow transmitter. How does a transmitter work? The way that a transmitter works is that the transmitter measures the raw signal from an analytical sensor (depending on the sensor this can be pressure, current or resistance) and converts it into a digital signal, so that the measurement can be shown on the transmitter display. Transmitters can be programmed for various functions to improve measurement functionality, to control a process or to collect data. Depending on the transmitter type, the signal is displayed, and an output signal can be transmitted as an analog signal or as a digital signal via a fieldbus. What are the measuring parameters of a transmitter? 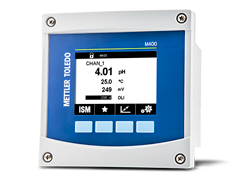 A METTLER TOLEDO transmitter covers all important parameters for process analytics, including measurement of pH, ORP (redox), dissolved oxygen (DO), resistivity, total organic carbon (TOC), dissolved ozone, CO₂, oxygen, ozone, conductivity and turbidity. 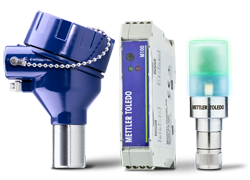 What transmitters does METTLER TOLEDO offer? 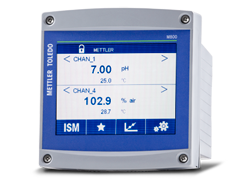 METTLER TOLEDO offers a comprehensive range of transmitters for pH, DO, conductivity, resistivity, TOC, dissolved ozone, turbidity, CO2 and flow measurement. Our multi-parameter transmitters offer the flexibility of single and multi-channel mixed-mode measurements combining more than one measurement type in a single transmitter, reducing complexity and costs per measurement point. The variety of METTLER TOLEDO transmitters meet a wide range of specific customer needs in different and demanding industries where high precision and reliability are a requirement. METTLER TOLEDO transmitters are innovation leaders establishing high standards for the expectations of modern process technology - from basic applications to sophisticated requirements. What is a pH transmitter? METTLER TOLEDO transmitters are multi-parameter transmitters. Besides supporting pH measurements, the transmitters measure other parameters including DO, resistivity, TOC, dissolved ozone, CO2, oxygen, ozone, conductivity and turbidity. Depending on the transmitter model, different parameters are included. What is a conductivity transmitter? 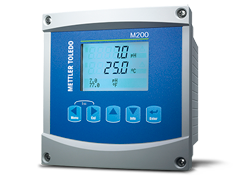 METTLER TOLEDO transmitters are multi-parameter transmitters. Besides supporting conductivity measurement, the transmitters measure other parameters including pH, DO, resistivity, TOC, dissolved ozone, CO2, oxygen, ozone, and turbidity. Depending on the transmitter model, different parameters are included. What is a dissolved oxygen transmitter? METTLER TOLEDO transmitters are multi-parameter transmitters. Besides supporting dissolved oxygen measurements, the transmitters measure other parameters including pH, resistivity, TOC, dissolved ozone, CO2, oxygen, ozone, conductivity and turbidity. Depending on the transmitter model, different parameters are included. What is a single-channel transmitter? A single-channel transmitter only accept one sensor measurement. This is used for simple or dedicated processes where only a single parameter measurement is required. What is a multi-channel transmitter? A multi-channel transmitter is a transmitter to which multiple sensors can be connected. This is used for processes where more than one measurement point of the same parameter or multiple parameters must be monitored. Which sensors can be connected to a transmitter? Both an analog and digital sensor can be connected to most METTLER TOLEDO transmitters. Digital sensors incorporate our Intelligent Sensor Management (ISM) technology where a digital "handshake" occurs between the sensor and transmitter, allowing the sensor to identify itself to the transmitter for automatic conversion to that measurement type. For analog sensors, this "handshake" occurs after the user manually inputs the measurement type into a transmitter. Can transmitters be used in hazardous areas? Many METTLER TOLEDO transmitters have been designed specifically for hazardous areas use where there is a risk of explosive or toxic environments. Transmitters with low-power, 2-wire units with ATEX/FM approvals ensure safe operations under these conditions. Which communication protocols do transmitters use? 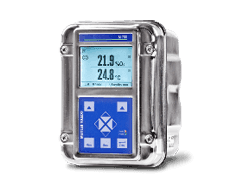 METTLER TOLEDO transmitters offer all common digital communication protocols including HART®, Profibus®-PA, FOUNDATION Fieldbus. How do you select the correct transmitter? Application, explosives zones, non-explosive zones, 2-wire or 4-wire power/sensor requirements, single or multi-parameter needs, single or multi-channel requirements, communication to control systems and Intelligent Sensor Management (ISM). Can you perform sensor calibration on a transmitter? Yes, with the help of a transmitter, a 1-point calibration, 2-point calibration or a process sensor calibration of the connected sensor may be performed. For process and water applications, this multi-parameter transmitter offers installation flexibility, operational security and simplifies process control measurements. For a wide range of applications and industries, this analytical transmitter combines high performance with ease of use and offers outstanding process reliability and safety. For a wide range of applications and industries, this analytical transmitter combines high measurement performance and ease of use with excellent user ergonomics. For basic process and water applications, this transmitter offers an exceptionally easy to use interface, reliable operation, and simplified commissioning and maintenance. For standard monitoring applications, this compact transmitter offers a versatile measurement solution for both hazardous and non-hazardous area installations. This modular transmitter offers flexible use of plug-in modules which enable combined measurements from digital and analog sensors, with a choice of bus communication. Transmitters for analytical measurements are usually chosen separately from the sensor. With ever-growing functionality, selecting the right field device is no longer just a matter of process variable, power requirements or output signal. Find out how a structured approach to selecting a measurement system helps you select the right instrument. METTLER TOLEDO provides tailorable transmitter solutions to meet requirements of a wide range of applications. The transmitter series cover pH/ORP, oxygen, dissolved carbon dioxide and conductivity measurements. The transmitters are compatible with traditional analog as well as digital sensors. 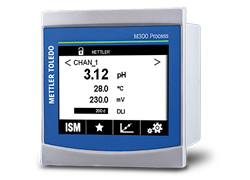 The video introduces the new version of the METTLER TOLEDO multi-parameter M400 transmitter series for process analytics applications. It features a combined touchscreen and tactile soft key user interface. The high contrast screen permits viewing in all light conditions and the soft keys allow operation even if protective gloves are being worn. The transmitter is compatible with both, digital and analog sensors. The M800 transmitter with multi-channel and multi-parameter flexibility is easy to configure and enables greater operational insights into the water chemistry relationships. The transmitter can display up to eight parameters simultaneously. The video shows how the Head Mount Transmitter requires neither a display nor a local operator interface. It is very compact and has a single-channel, multi-parameter unit for pH, ORP, conductivity and dissolved oxygen measurements.